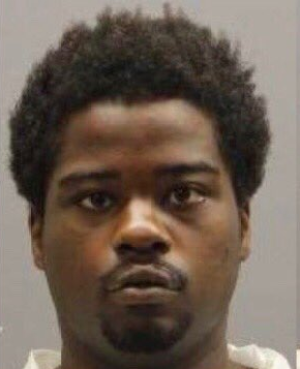 The 23-year-old man arrested and charged Thursday in the "unprovoked" fatal stabbing of a woman who was jogging through D.C.'s Logan Circle neighborhood was known to use the synthetic drug K2, according to court documents. Police say surveillance video of the attacker in a distinct shirt and tips from the public helped them track down the suspect, Anthony Crawford of Northwest D.C., to a park near 14th and Girard streets NW Wednesday night. Detectives who interviewed Crawford said they didn't provide details about the homicide for which he was arrested, but Crawford told them they were accusing him of the stabbing of a little girl, according to court documents. He was charged with first-degree murder while armed. He is being held without bond. Authorities had no information to suggest that the suspect and victim knew each other or had any interaction before the stabbing in one of D.C.'s most popular neighborhoods. "It looks like it was an unprovoked attack," Police Chief Peter Newsham said. Wendy Martinez of Northwest D.C. was out for a run just before 8 p.m. Tuesday when she was stabbed seven times to the head, neck and back. The 35-year-old, who had recently become engaged, was jogging west on P Street NW and was attacked after arriving at the intersection with 11th Street. Newsham said Crawford has a criminal history, but there was no indication that any of it was violent. A person who said he knew the suspect told detectives Crawford used the synthetic drug K2 frequently, according to court documents. In 2015, D.C. sought a court-ordered mental examination of Crawford but abandoned the effort for unknown reasons. After being taken into custody, Crawford was taken to the hospital for an injury on his hand, Newsham said. Police initially said they were searching for up to three attackers, but Newsham said Thursday they believe Crawford acted alone. It wasn't immediately clear if Crawford has an attorney. The violent crime left neighbors stunned because of the area's popularity and perceived safety. "As a runner, it's pretty terrifying. You'd think running on lit streets, you would be safe, but that’s mind-boggling," one woman said. Another woman who jogs in the area brought flowers to the crime scene Wednesday morning, telling News4 that the victim easily could have been her. By Thursday morning, the pile of flowers remembering Martinez had grown. A running shoe could be seen at the makeshift memorial. The crime rate in the area near Logan Circle is relatively low, with few violent crimes reported, D.C. crime statistics show. Wendy Martinez was fatally stabbed near Logan Circle on Tuesday, Sept. 18, 2018. She had been jogging along 11th Street NW, police said. A number of upscale homes and trendy restaurants are located near the scene of the crime. "I think that it is unsettling for anyone who lives in this city to see something like this happen," Newsham said Thursday. "This is a very isolated instance. You don't see crimes much like this, even during the course of my career, so it's a very unlikely thing that occurred here at this intersection. At the same time, I'm sure that doesn't bring any level of comfort to the Martinez family." Police released surveillance video Wednesday afternoon showing the attacker walking along 11th Street NW in a long-sleeve shirt that went down past his waist. Footage from another camera shows him walking with a knife in his hand. The knife used in the stabbing was found nearby. Newsham said Thursday a combination of information from officers and tips from community members helped police identify Crawford as the suspect. Newsham said police do not have a motive yet, but the "unsettling" attack was likely random. After the stabbing, Martinez staggered into a nearby carryout restaurant. She collapsed a short time later. The manager of the restaurant said he heard someone scream and saw Martinez covered in blood. "I scared. I don’t know what happened, and I just try to call police," said the manager, who asked not to be identified. Strangers rushed to the woman's side to help her, and the manager called 911. Martinez died of her injuries a short time later. On Thursday, Newsham thanked members of the community, including a nurse, for trying to provide medical help for Martinez on the scene and for providing tips that led to to the suspect. 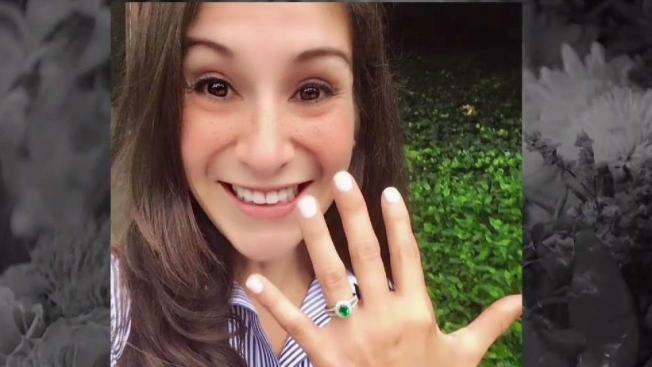 "Wendy Karina Martinez Was the Light of Our Lives"
Martinez was an avid runner who lived in an upscale apartment just three blocks away. She and her boyfriend got engaged just last week, her family said in a statement. "Wendy Karina Martinez was the light of our lives. Not only was she an avid runner, but she was a devout Christian, a wonderful friend, and a driven professional. Everything you hope that a daughter and a friend could be," her family said Wednesday. "She was also excited to be planning her upcoming wedding to her fiancé, Daniel Hincapie. They were engaged just last week." "Simply put, Wendy was fearfully and wonderfully made! Now we know she has found the one whom her soul loved. (Song of Solomon 3:4)," the statement said. Martinez's family asked for respect for their privacy as they grieve and urged anyone with information on her killing to contact police. Martinez was chief of staff of the software and data company FiscalNote. "The entire FiscalNote family is shocked and deeply saddened to learn that Wendy Martinez, our Chief of Staff, was killed last night," the company said in a tweet Wednesday afternoon. "Wendy was an invaluable member of our team and a vibrant member of the community. Our thoughts and prayers are with Wendy’s family and friends." Martinez was a University of Florida and Georgetown University graduate who previously worked for the Organization of American States and the Inter-American Development Bank, according to her LinkedIn page. Martinez is from Palm Beach County, Florida, family members told NBC affiliate WPTV.